In Saturday night’s game in Philadelphia against the 76ers, LeBron James passed Hakeem Olajuwon to become a top 10 scorer in NBA history. After scoring 23 points in the Cavaliers first loss of the season to the Hawks last night, LeBron now has 26, 993 career points. So at 31 years and 11 months old and with just over 13 seasons of NBA basketball already in the rear view mirror, what are the chances he can pass Kareem Adbul-Jabbar and become the leading scorer in NBA history? As of November 9, he has played 7 games in the 2016-17 season with 75 potential games remaining. Say he sits out 5 to 7 games this season and averages 25 points per game over the next 70 games, that would equate to 1,750 more career points which would leave him with 28,743 points at the end of the season. This would move him up to 7th all-time in scoring passing Elvin Hayes, Moses Malone and Shaquille O’Neal. 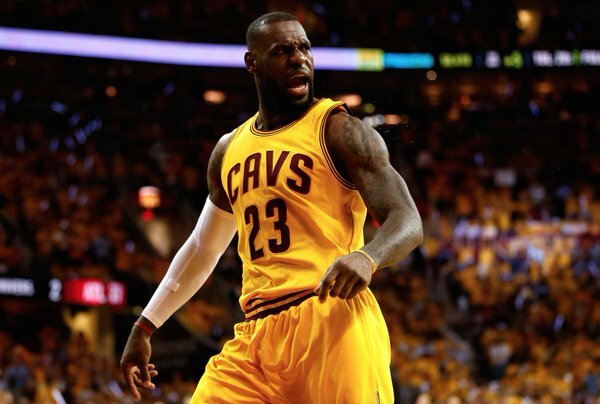 Barring a major injury or sudden loss of passion for the game of basketball, with LeBron James’s commitment to taking care of his body and elongating his career, I see very little chance he doesn’t at least play until the age of 38 or 39. Being able to maintain an over 20 point scoring average on average from the age of 32 to 38 would be difficult but players such as Karl Malone, Michael Jordan and Kareem were able to average over 20 points per game at the age of 38 or later. Following the six year model, LeBron would basically average 23 points per game over the six seasons following this season and become the leading scorer in NBA history. A lofty goal but not out of the realm of possibility. If he were to play eight more seasons, until the age of 40, and average 18 points per game in that time period while playing at least 68 games per season that would be enough for King James to take the throne of the NBA’s all-time scoring king as well. My guess is that LeBron James will play seven more seasons and wind up as the second player in NBA history to score 37,000 points in their career, finishing within a thousand points of the all-time leading scorer Kareem Abdul-Jabbar. The bigger question for LeBron historically though is how many rings the King will hold when he decides to hang them up. Only time will tell if he can catch up to a certain ghost that he is chasing.